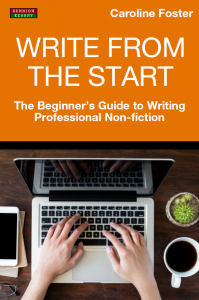 In this excerpt from Write From The Start: The Beginner’s Guide to Writing Professional Non-Fiction, author Caroline Foster discusses how to write books for children. Writing for this age group is complex, and perhaps, more difficult than many writers envisage. The most fundamental aspect of writing for this category is understanding the age group of your readers. How you write for early readers is very different to how you would write for the 10 to 15-year bracket or indeed, the 12 to 20-year age range(s). There is a huge difference in the language, style, and interests of each age group before we even consider any gender-specific activities or pursuits. 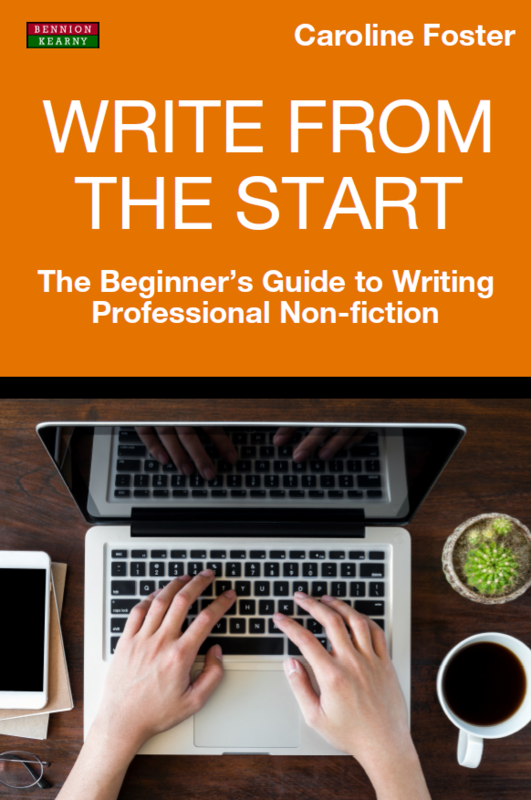 It is always essential, no matter what the genre is, to understand who you are writing for before you begin to write, and to know the reasons why you are putting together whatever it is you are planning to write. It is even more important to be clear about this before you embark on writing for the children’s market because young readers can be very difficult to please. Children have a built-in boredom beacon; they know when they are being lectured or spoken down to, and they are very quickly turned off by the wrong use of language, old fashioned terms, or writers who are out of touch with today’s trends. It could be a combination of reasons, but be clear about your motivations before you start. Then decide what age group you would like to write for. This could be children as young as one or two, who need an adult to read to them. You cannot simply aim your language at the adults though; your endeavour is to write to entertain your target audience – however young. Pre-school children aged three to five are going to be looking for books with more than one syllable, even if they cannot read independently. These readers will want to be stimulated, as they start to recognise familiar words and rhymes. They will absorb and remember certain words and phrases, and if a story has been read to them, they may well remember interesting lines too. One of the books my boys most enjoyed when they were younger was called ‘Up and Around and Down’. It was the story of a farmer’s hat that gets whisked off his head in the wind and blown around the farmyard. First it lands on a horse’s head, then a cow’s, and eventually it ends up caught in the reed beds of the river where a duck uses it as a nest. Throughout the book, the phrase ‘up and around and down’ is used every time the hat travels between one place and another. This repetition kept my boys’ attention to the point that each time we came across the saying, they felt able to join in with the storytelling. Then we have the age brackets – five to eight, eight to 12 and your teenage readers. Each of these markets is individual. The same topics or themes may be used for the content but the subject would be written to meet the reading needs of each age group explicitly. The teenage or young adult market accommodates readers from ages 12 to 20, and there is a vast difference between a 12-year-old and 20-year-old. But it is not about the age of your reader that is important here, it is the capability of the reader that determines the level at which they read. Subjects for teenagers are more likely to include friendships, school or college, clothing, music, leisure activities and more. Not forgetting, of course, that today’s teenagers and young adults are also highly technology-driven and much of their social life is determined via social media. Their topics of conversation are often instigated by WhatsApp, Snapchat, Facebook and Instagram posts, including fashion, gadgets and relationships. The same goes for boys as much as girls. Self-image and celebrity or musical icons also have a much higher profile in the lives of today’s young people than they did say 20 to 30 years ago. The same applies to online gaming, photography and videos. Smart phone apps also play a pivotal role in the interests and pursuits of today’s youth – just cast your mind back to the 2016 Pokémon Go phenomenon. Whatever age group or groups you decide to write for, you need to bear in mind that children progress at different rates – they come in all shapes, sizes, personality types, and have various stages of development. A child of say eight or nine could easily be reading material written for a 12-year-old, whereas another child of eight might like to read books aimed at a much younger market. Your aim, therefore, is to write for the broader age bracket. To identify how to do this, it is vital to carry out market research by reading and analysing the books that youngsters read today (do not assume the books you read at their age remain relevant!). This will help you to recognise writing formulae.